The example below illustrates taking a picture of a balloon. 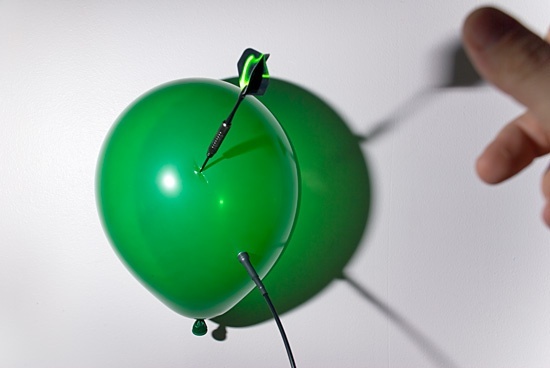 The balloon is punctured with a dart. The picture is taken in a dark room. The flash is the only source of light in the room. This freezes the motion of the popping balloon. The Universal Photo Timer is used to activate the flash. 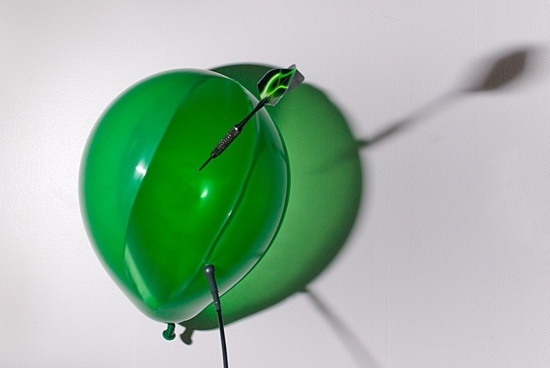 When the balloon is punctured, the sound triggers the unit's microphone activating the flash (built-in or external microphone options are available). The flash is activated through flash sync output. It is a matter of few milliseconds for the balloon to completely collapse once punctured. The entire event is so fast that even increasing the distance between the balloon and the microphone can significantly delay the exposure (the sound takes longer to reach the microphone). Once the flash has been activated, the Universal Photo Timer automatically closes the shutter of the camera to prevent accidental overexposure of the picture. 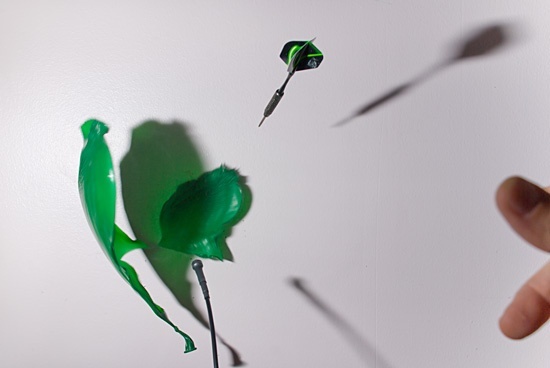 The pictures above show several balloons punctured with darts, each picture taken with an increasing delay. The pictures were taken in a dark room. The flash is the only source of light in the room. 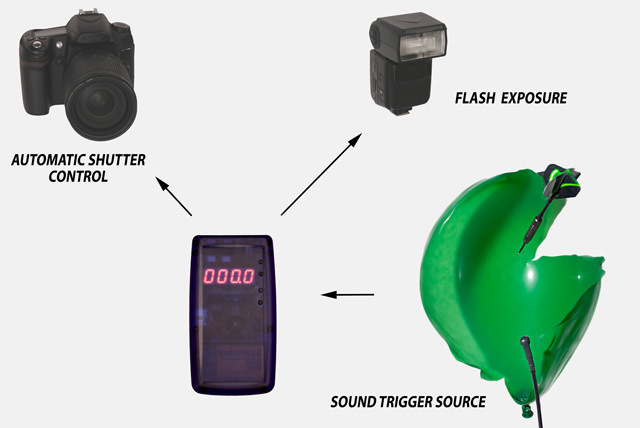 The sound of a popped balloon triggers the external microphone (UPT_KIT1B version) activating the flash. 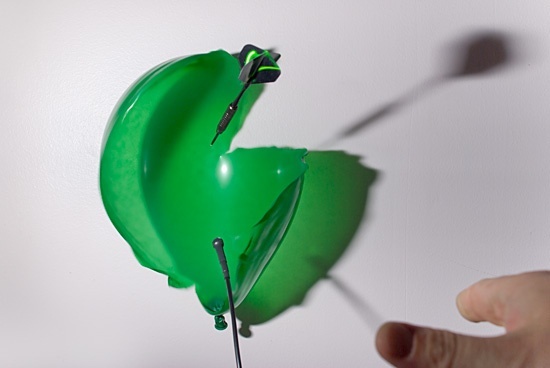 It is a matter of a millisecond for the balloon to completely collapse once punctured. Always follow safety precautions when handling darts.